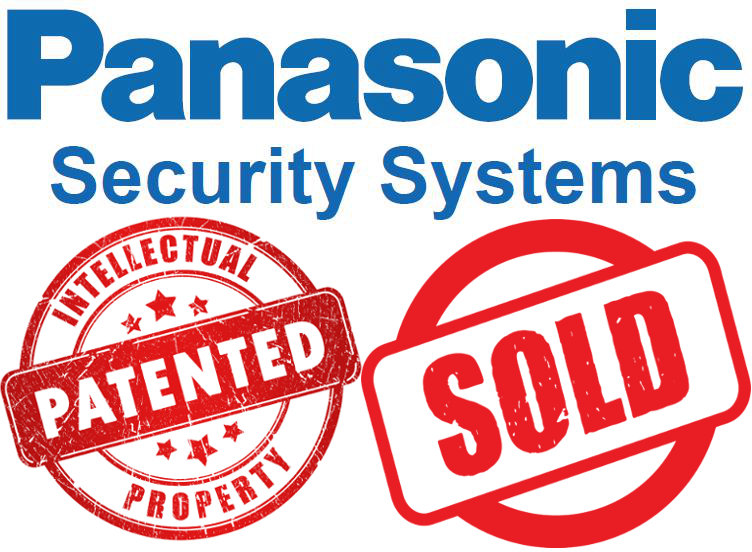 In a highly atypical move, Panasonic has sold off nearly 100 security camera patents to one of the most well-known patent trolls. This comes just months after reports Panasonic is selling off their Chinese security camera factory and following Panasonic staring to OEMing IP cameras from Dahua. Inside this report, we examine this move, share feedback from Panasonic to IPVM, and argue why we see this as a lose/lose, bad news for Panasonic and their competitors. Plus, we review Panasonic's newest statement on the factory sale and why it is poorly done. ** * ****** ******** ****, ********* *** **** *** ****** 100 ******** ****** ******* ** *** ** *** **** ****-***** patent ******. **** ***** **** ****** ************ ********* ** ******* *** ***** ******* ******** ****** ********** ****************** ******* ** ****** ** ******* **** *****. ****** **** ******, ** ******* **** ****, ***** ******** **** Panasonic ** ****, *** ***** *** ** *** **** ** a ****/****, *** **** *** ********* *** ***** ***********. ****, we ****** *********'* ****** *********** *** ******* ******* *** ** ** ****** ****. *** *********** *** **** ***** *****'* *********** ******* ***** ******** the ******* ** ******** ********* **** * ********* *******. **** *** ****** ** ******* *** *********, *** *** ******** patent ******* ** ******** ********. ********* *** *********** ** ***** ***** *** ******* ***** ***** security ****** **********. ** ************ *** ********** ***** ******* ** a ******** **********. ** **** ******** ************, *********** ** **** according ** *** ******* ** *** **********, ** **** **** is **** *** **** ** **. ** ** ******** ** *** ***** ** ************* *** ** ongoing, ********* ******** ******** ** **** *** *** *******. *** only *********** *** *** **** *** ****** ***** *** **** sold *** ***** ******* *** ***** ********* **** ************* ****. ** **** ****, ***** ** ****** ** *** **** ** Avigilon, ******** ****** *********. *******, **** ********, **** ****** *** Motorola ****, ******** ************** ** ********* ****** ********* *** **********, from **** ** **** **** **** ******** *******. ** ** ******* **** *** ********* ** *** *********'* *********** to *** **. ***** **** ** ********* ********* **** **** believe ******** *** *** **** ********* *** ****** *********'* ***********. How **** ***** **** ****** ** ******* ***, ** *******, it ** ****** ** ** * ********. ** *** ******** side *** ********* ***********, ****** ********, ***** ** * *********** fully ******* ** ****** *********. *** [******** *****] ****** ** *** ************* ** *** ******** Panasonic **********. **** ** *** **** ** ********* *** **** **** ****** the ******* ** **** ** **** ***** ******** **** ** dumb. *** **** ** ****** ********* ** ***. ** ********* does *** **** ** ******* ** ** ***, *** *******. But **** *** *********, ** **** ********* *** ******* ** either '**************' ** ******* **. ********* *** ************** **** ******** ****** ******* ** * ***** and ** ********* ********* ******* *** *** **** ******** ****** factory. *** **** *********** ***** ** ***** ***** ******* ** the ***** ***** ***** ****** *********** ********. *******, ** ********* thinks *** ******** ** ********* ******** ****** ***** ** ** pivot ** ** * ****** *********** ********, **** *** ** far ****** ******* **** **** *******. ** *** ******** ****, *** ***** ** *** *** **** to ****** **** ********* ****** ********, *** *** ****** ** investor ** *****'* ****** *******,***********, * ******** ******* ******* *** $*. ** *** ** **** of **** ***********. ******* **** ******* ** ********* ********* **** ***'** *** ** the ******** *** **** ** ********* ** ******* **** **, right? * ***** ******* ***'* ******* ** * **** ** *******, if *** ****. **** ** **** *** ****** **** ** for ***** *** **'* ********* ** *** *** **** ** millions **** *** **** **** ***** **, *** ***** *****, nothing. *** ** ****** *** **** ********- **** ** *** ****. ** * **** ** **** ****** **** ** ******, * would ***** **** ** * ********* *** ** *** ******* else **** *** **** *** ******** ********** **** **** *********** and ***'*. **** ******* ** *****, **** ****** ** ****** ********* ** a **** ** *** *********. ***** ******* ***** *** ***********, *** ***. ********* *** ********* deniability. **** *** ******* ******* **** *******? **** ******* ** **** ****** ******. **** ***** **% ** *********** ******** ** ******* ********** ******* in *** **** ****, *** ***% ** ***** *********** **** ******** *** ***** before ** *** *****. **** **** **** **** *******. **** ********* **** **** **** ***** ****, *** *** *** ** * **** ****. **, **** ** *** *** ** ** **. *** **** sell *** ******* *** **** ****. **** *** **** ******* to ** **** ***** *********** **** *** ****. **** ***-**** and ** *******-***** **** ***** ****** ************* ******** ** **** products. ***’* *** ** *** ******** **** **** ******** ** ***** these ** ****** *** ** *** ****** ***’*, **** ** the****. **** **** *** ******* ********** ******. **** ************* ******** ********'* **** **** ** ******, **'* *** * *** ******* (~$*** ******* ****** *******) but **'* *** ****** **** *** ********* ****, **** ** it's ********** ***'* ** * ***** ****** *** *** *******. ****, **** ******* ***** *** *** *** ********* **** ** front, ***** *** *******'* ******* ** $*** *******, ** ** was **** **** *** $** *******, ** ****** ***** **** been ******** *** * ******* **** ****. ***** **** ** was *** *********, ********* *** ***** **** *** ***. ** course, ********* *** **** ***** ***** ***** ******* **** *** licensing *******. ******* *** **** ** ** * ********** *******. ***** **** some ***** ******* *** * ***** ****, *** ********** ** trolls *** * **** ** *** ********. ***** ** ******* side ***.  **** *** *** ****** ** **********, ********** *** forward ********. ***** ******* ** **** *** **** **** **** an ****** ** **** ******* **, * *** ** ******** their ********** ** ***** ** ** **** * ****** *** them. ****** ***'* **** ***** * ***** ********, ********* *** ******** new ****** ** ***** ** *** * *** ** ******* that **********. ***** ******* ** * ********** ********, *** ******* bring *** ***** **** *** ***** ** *** *** *** to ***. ** ********* *** *** ***** ** *** ***** **, **** I'm **** ** *** **** ****** **. **** *** ****, we'll *** ***** ****** *** **** **** *** *** ***** and ******* **** *********** *********** *** **** ***** *** ** our ********. * ***'* ***** ****** ** ****** ******* *** * ***** word. **** ****** *** ****** ** ****** ******* ** ** unnecessary *** ****** **** ** ********** ********* **** ******** **** things. ***** **** ***** *** ****** ** *** ******** ** ******* people **** *** ***** ******* *** ** ****** *** ***** or *** *** ********* ***'* ******* *** ******* ** *** that ****** *** *** *****. ****'* *** ***** ******* *** what ***** **** ******: **** ** ***** ** *'** *** you *** **** *** **** **** *****. *** ***** ****** with ******* ** *** *** *** ****** ******, **** *** I *****'* **** *** ******* **** ********** *** ******** ** getting *** ** *******. *** **** ** *******, ***** ** not ********** ** ********** ** ***** ***** ******* *** *** constructive *******, ****'* *** *** **** **** *****. ***** ********** manufactures ** *********** ** *** ** *** **** **** ***** money. * ** *** **** ******. ******. ****, ***** **** ********* ** *** **** **** *********** ****** patents ****** *** *** ******* ** *********** ****** **** ******. Frequently **** **** ***** ******-********** *** * ******** ********* ** ** **. ** ** the ******* ***** ** ******* ****** * **** **** ***** of. *** *** ******** **** ** *** ******* **** ** be * ***** ****. ***** *** **** ******* ******** ** IPVM ***** ****, ***********, ***. *** ***** * ****? ***** ** *** ****** ** **** until * **** ** ***** ******* * ********* **********? * vote * ******. *****, ******. ***'** *****. * ****** **** *** **** **** included *** **'* **** *** ** ***. *** ***** ***** ********, ** *** *** **** ** ******** (at ***** *** ***** ****) ***** ********* ********* *** ** negotiate *********, ******** * **** ** ********. ***** ** ********* ** * ********* ** *** ********* ******* Panasonic *** ***** *** *** * ***** **** ******* ******* the **** ** ***** ******* ******** ********* ** ******** *** art ********* *******. ********* ****** ********* ** **** ** ******* whether ** *** **** ** *** ****. **** **** **** **** *** *** *****? * ******** ********* a ************ ****** *** ****** ** ******** * ***** ** more ********* *******, ** ***** ** ** ******* *** ** used **** ************. * ******* **** *** *** ******** ***** patents **** ****, ** ***** *** ** *** *** ** an ****** ** **, ************, *** ** *** ******* *****, what *** ** ******? *** **** **** *** ********* ***** ** **** **** *** still ******* *** ***'* **** *** ****** ** *** **** the ****** ********* / *********** / **********. *** *** **** *** ********* ** **** ******* *** **** patents *** **** **** ******* *** ******* ***** ***** *********'* commitment ** *** ***** ************ ********. ** ** ******** **** **** **** **** ** **** *** of ***** ***** ************* **** ******** ****** *** *** ****** in * ****** *******. * ***** ****'* ********** ** *** financials. **** *** **** ********* ** ********* *********/*********** **** ** predicted ***** ***. ** ** ******** ** **** ** ****** there ** ***** *** ** **** ** ***. ** **** **** ** **** *** ****** * **** ** greatly ************. ** *** ****** ***** "***** *** ***** ** is *** ****" ****** - *****, *****, *** **** * would **** ******** ********* ** ** *** **** ** ****. Panasonic ** ***** ******* ** ************ ****** *******. ********* ** ***** ******* ** ************ ****** *******. **** ***** ***** ****. ********* *** ******* ** ** *** one ** *** ******* ******* ** ***** ***. ** ****** Pelco, ** *** *** ** ** **** *** ** ******** to ***** **. **** ****, *** ******** ******, **** ** in *** **** * ***** ** **.